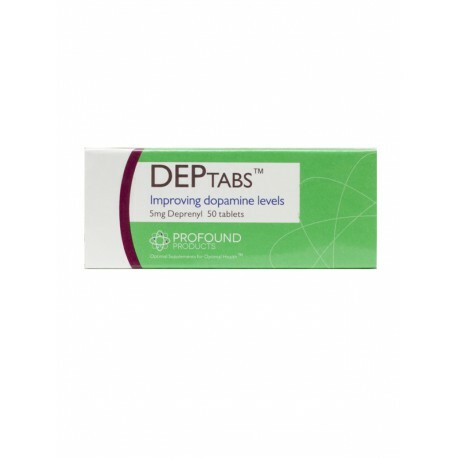 Dep Tabs provides titration of accurate amounts of deprenyl (also known as selegeline). Deprenyl at low doses acts as a MAO-b inhibitor to improve brain levels of dopamine. Directions: Follow the advice of your physician. Deprenyl doses can vary widely from 1.25mg to 5mg per day or even per week. Note, these tablets are scored so that they can broken into half or quarter as required.